Drew Dental has a specialized staff that is highly trained in Family, Cosmetic, Invisalign and Implant Dentistry. Our employees are dedicated to providing exceptional individualized treatment in a safe and comfortable manner. Our Certified Dental Assistants are trained in Cosmetic and Implant Dentistry. Our professional licensed Dental Hygienists are able to take care of your Periodontal Therapies, Oral Hygiene Care and Prevention Education. Our front office staff consists of Insurance, Financial and Treatment Scheduling Specialist. Jennifer brings over 40 years of experience in dentistry and is the Patient Treatment Coordinator at Drew Dental. Her genuine determination and efforts to ensure every patient has an exceptional experience exceeds expectation. 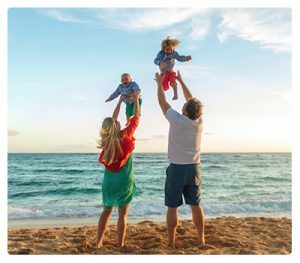 From warmly welcoming new patients to the practice to courteously working with patients insurance to maximize their benefits, Jennifer stops at nothing to put our patients first. 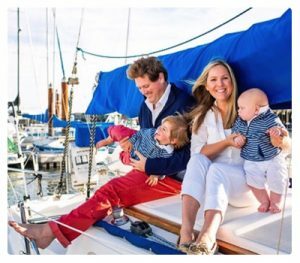 During her free time, Jennifer enjoys camping, traveling and spending time with her husband, two children, and friends. She is an exceptional baker and frequently shares her treats with the staff and our patients. Silvia started her dental assisting career in 2001 and brings over 17 years of dental assisting experience. 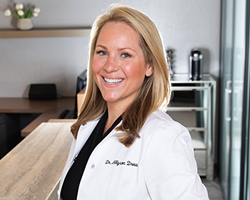 Her eye for detail in Cosmetic Dentistry is uncompromising and welcomed in Drs. Drews efforts to deliver high aesthetic and cosmetic results. 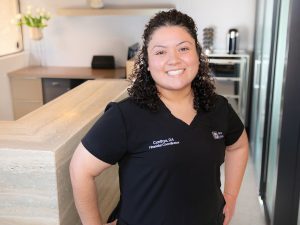 She is very devoted and passionate about dental assisting; with a pleasant personality, her exceptional skills are uniquely applied as she continues her efforts to make dentistry a pleasant experience for her patients. She truly loves her profession. Outside the office Silvia enjoys spending time with her four children and husband, walks on the beach, outings to the parks, and anything that gets them outdoors. 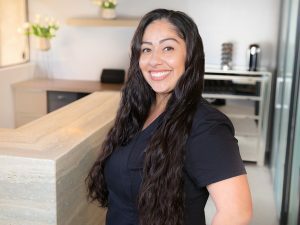 Selene began her dental assisting career in 2006 and is a highly skilled and an energetic dental professional with experience in all aspects of dentistry. Her experience has allowed her to assist in any environment, and she enjoys learning new things and expanding her dental knowledge. She thoroughly enjoys every experience. Outside the office Selene enjoys spending time with her three daughters and coaching their competitive soccer teams. Selene states, “being a soccer coach and manager is definitely a big role in my family life.” When not at a soccer match, she enjoys the beach, shopping, exploring new places, and going out on mommy-daughter dates. Cynthya started her dental assisting career in 2004 and brings 14 years of Customer Service and Insurance billing experience. With honesty and integrity, Cynthya is dedicated to helping patients navigate insurance billing and the complex world of dental insurance. Outside of the office, Cynthya enjoys and cherishes spending time with her husband and two young children. The hygienists at Drew Dental provide the highest level of care for our dental patients. They dedicate extracurricular hours to extended study and training to keep ahead of the latest dental hygiene advances. Our hygienists are soft tissue laser certified and incorporate this into their practice for the benefit of our patients. 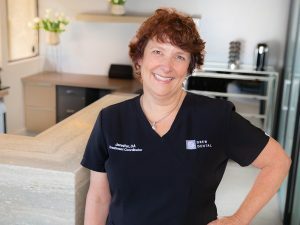 Ginee has been a Dental Hygienist since 2009 and working in the dental field since 1998. 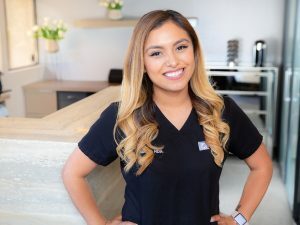 Originally from Cupertino, she received her Bachelor’s Degree in Dental Hygiene from Cabrillo College, along with degrees in Biology and Communication. Ginee is known for her thorough cleanings and will have you laughing through your appointment. Outside the office, Ginee enjoys spending time with her husband, Hans, and two dogs, Bijoux and Buddy. She can be found at the beach watching her husband surf, cooking in her kitchen, and trying her hand at gardening! 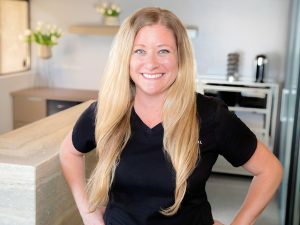 Hailey has been in the dental field since 2009 and received her Bachelors Degree in Dental Hygiene from Cabrillo College. Originally from Humboldt County she currently lives in Santa Cruz, CA. 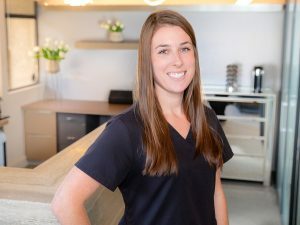 Hailey is known for her gentle touch and comforting chairside manner, putting the most anxious dental patients at ease. An avid soccer player, Hailey enjoys spending her free time being active outdoors, walking with her goldendoodle puppy, Hazel, and spending time with her family and friends. 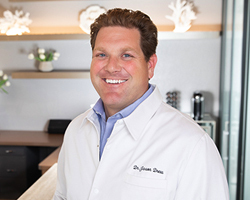 Dr. Jason Drew is distinguished as one of America’s Top Dentists 5 years running and voted one of California’s favorite dentists. He uses the latest technology and techniques to make dentistry gentle, easy, and even fun. His passion is creating beautiful smiles, and he is an absolute perfectionist when it comes to smile design.